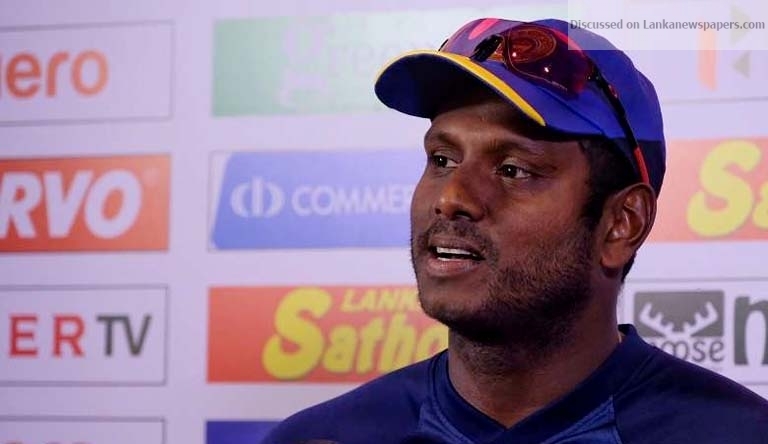 After Sri Lanka opener Danushka Gunathilaka given a six-match suspension for misconduct by breaching the player Code of Conduct, Sri Lanka skipper Angelo Mathews send a strong message to his charges saying that no one is bigger than the game. Gunathilaka is the latest Sri Lanka player to receive a suspension on disciplinary grounds after he was found guilty of breaking team curfew during the second Test in Colombo. Earlier leg-spinner Jeffrey Vandersay was issued a one-year suspended suspension for similar act during the West Indies series. “It is disappointing to lose out on a player, but we will not tolerate any indiscipline,” Mathews said when asked about Gunathilaka’s absence for the ODI series against South Africa. Gunathilaka was expected to open batting during the South African series.